Millwall’s top scorer Lee Gregory remains a popular figure down The Den, despite being out of contract at the end of the season. The 30-year-old is the main man in attack and has been since he arrived in London from Halifax in 2014. Despite taking a little while to settle, it was in League One where he became a fans’ favourite under Neil Harris. Gregory’s all-action, non-stop attitude has endeared himself to the supporters, along with his assured performances holding the ball up and chasing every and all lost cause to put pressure on his opponents. 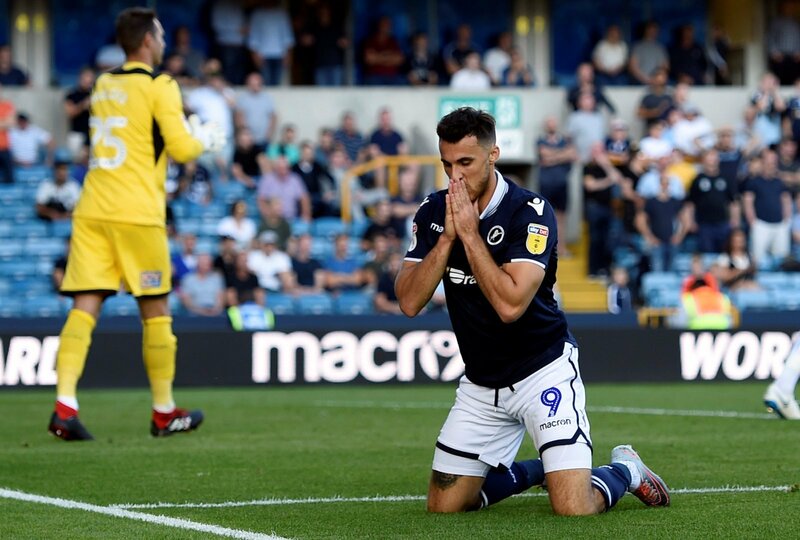 With his contract running out in less than six months, Millwall moved to offer their star striker a ‘lucrative’ new deal, according to NewsAtDen, with a decision yet to be made. But how does the striker feel about the current predicament? Stuck between signing a new deal or moving on to pastures new. It’s always such a tough time for a footballer when it’s contract renewal time, especially for a player who is a northern native. When you consider Gregory is 30, has a young family and has been in London the past five years, you imagine there will soon come a time where he will want to move back home to raise his family. He’s between a rock and a hard place, does Gregory want to stay at a club that has been good to him, and the fans adore him, or does he look at the bigger picture and consider his options? The club will not want to lose him, hence the enticing offer of a new deal, and the striker must be feeling quite torn at present having to decide on his future in relatively short space of time. Whatever Gregory decides to do will be respected by the club’s supporters, be it he stays or look to move closer to home. It is a tough decision to make, and at his age, too, it will be one that could potentially be his last contract in professional football. With no decision made so far, you can imagine he must still be in two minds as to which path to take.